If you’re buying EndNote for the first time, this is for you. You’ll need your serial number from X8 (or earlier) to activate. Whether an entire university or a small lab, your group has special options. 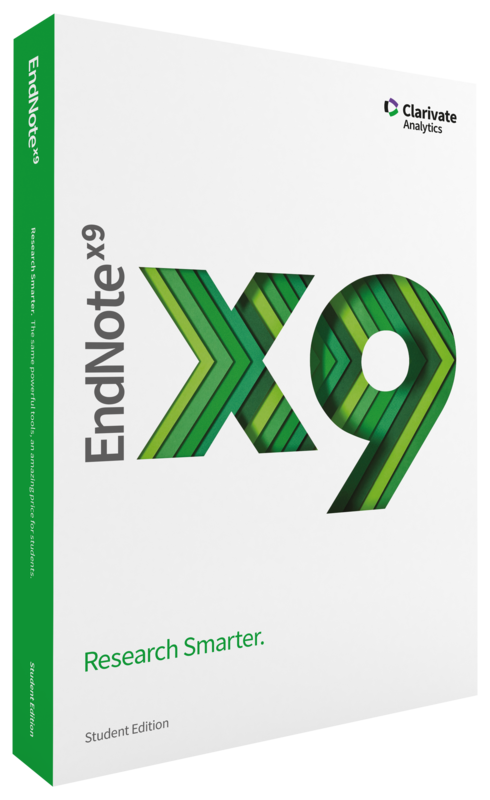 Find an EndNote partner in your region for sales, support, and training. Contact us for authorized purchases by your organization. You can also trial EndNote X9 free for 30 days. Clarivate Analytics does not sell the student version directly. Depending on your location, you can purchase EndNote at the student price in your campus bookstore or from one of our global distribution partners. Only copies of EndNote that have been purchased directly from Clarivate Analytics, either through the EndNote Online Store or via a Clarivate Analytics Sales Representative, can be returned to Clarivate Analytics. Refunds will only be issued within 30 days from date of purchase. EndNote purchased through other retailers must be returned in accordance with their respective returns and refunds policy.